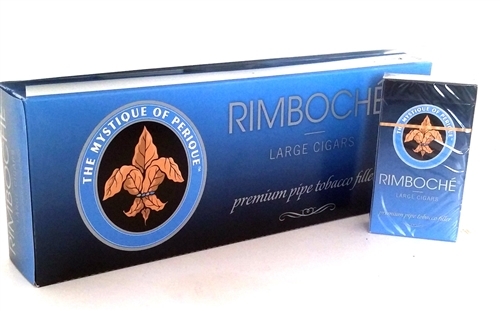 The Rimboche Blue blend is the mild or "lite" Version of the normally bold, full bodied Daughters & Ryan Filtered Cigars. The Rimboche Blue has been well aged and heat treated to bring about a smooth, mild bodied cigar that is perfect any time of day- as many times a day as you would like the flavor of the slightly sweet tobacco is delightful. The Daughters and Ryan Filtered Cigars come in standard cartons with 10 packs of 20 cigars.